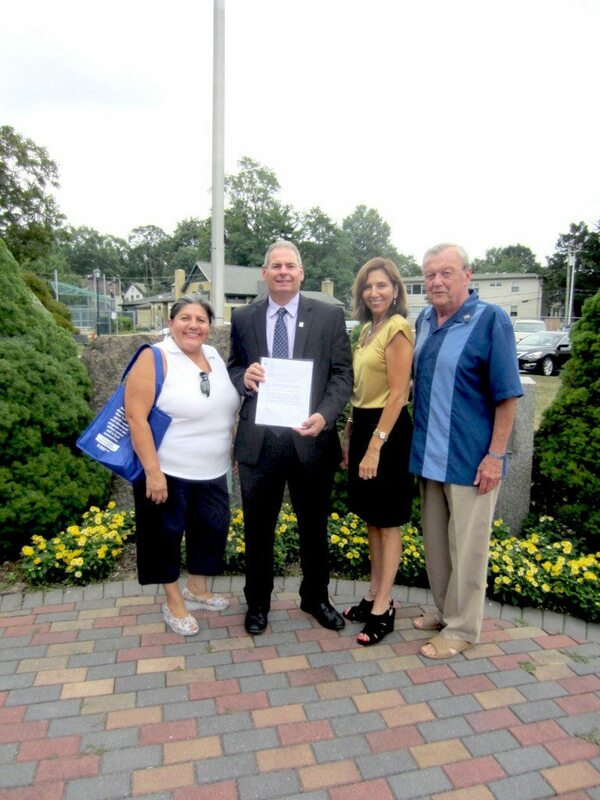 TD Bank recently donated $1,500 to the Westbury Carle Place Chamber of Commerce. Chamber board members Michele Cacioppo, John Heslin and Nancy Barreno accepted the check from Frank Frisone, TD Bank Store Manager and current Chamber President. “TD Bank is committed to the strong support of the organizations and programs that enrich the lives of the neighbors and communities at the heart of our business” said Frisone. “TD Bank is pleased to support our local chambers and was happy to hear of the huge success of their recent event ‘A Taste Of Westbury Carle Place.’ We were very pleased to be part of the event and to support the chamber’s efforts in the community and extend our very best wishes for continued success,” said Eric Fishon, Vice President TD Bank.